Here’s a treat to help us look forward to the coming winter months: Emma Mitchell, known for her breathtaking Instagram account as Silverpebble2, is publishing a book called Making Winter: A Creative Guide for Surviving the Winter Months. Is there anything that makes a crafter’s heart beat faster than wintertime coziness? Her book launches on the 5th of October and we’re having a special event to celebrate. We caught up with Emma to ask her a bit about her background and inspiration. 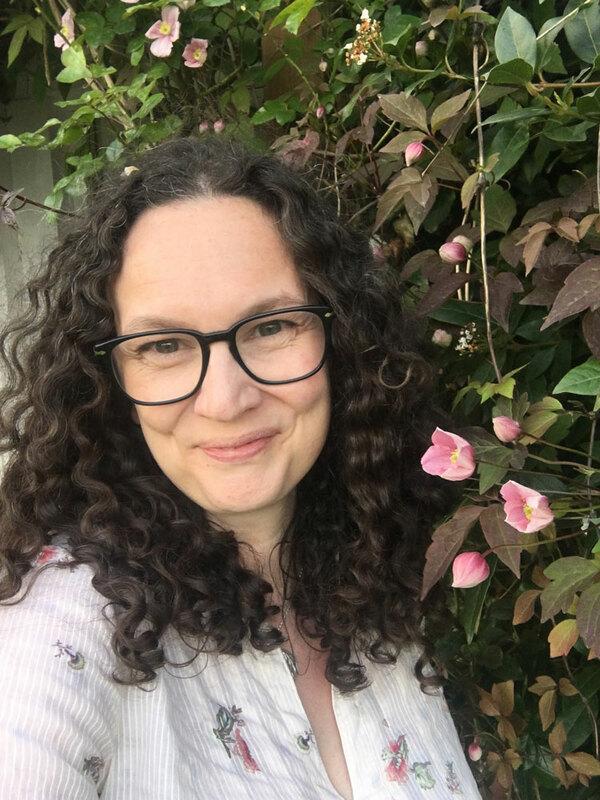 Emma lives with two daughters, two guinea pigs, and a rescue lurcher in a tiny village on the edge of the Cambridgeshire Fens. It’s surrounded by chalk, grasslands, woodlands and wetlands; rich in wildlife. She began a craft blog in 2008, just before the birth of her second daughter. She was inspired by the blogs of fellow quilters, print-makers and yarn crafters, that revealed an online world of creativity. 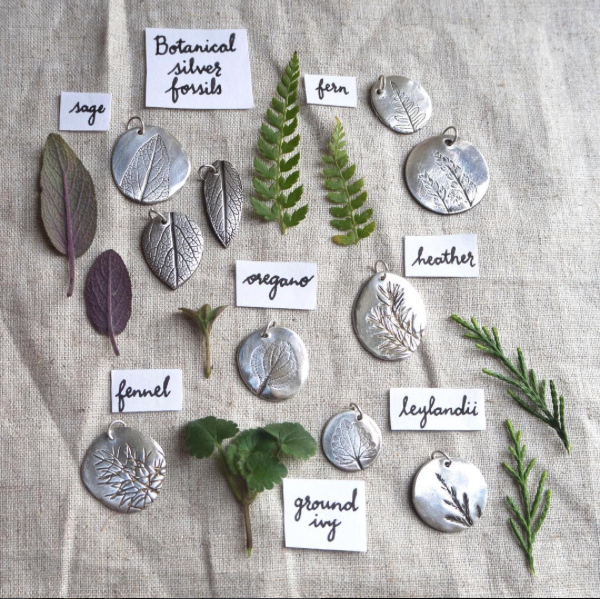 She found the craft blogging community very supportive as she began making her silver jewellery, which gave her the confidence to open an online shop. This coincided with a change of lifestyle; her demanding job as an intellectual property consultant in the tech sector was incompatible with taking care of her eldest daughter, who was unwell. 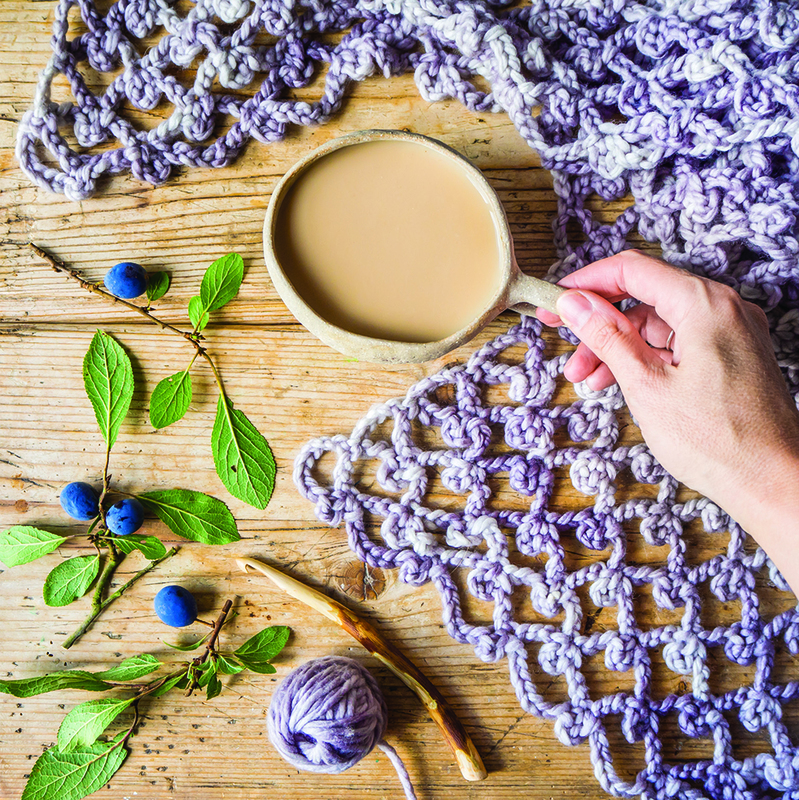 She used craft and making to relax after long stressful days in the office and found it helpful in fending off anxiety, stress and depression. With a background in zoology and molecular cell biology, she found joy in photographing and recording the seasonal changes in her garden and nearby countryside. These were echoed in her jewellery designs and shared on her blog. 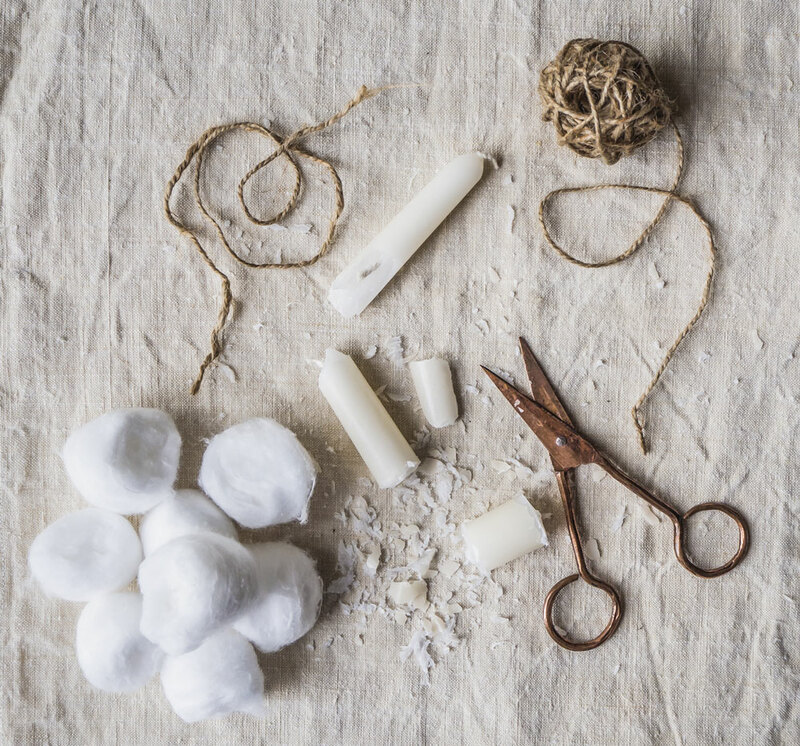 Emma wanted to share these beneficial effects of craft and nature and was inspired to write Making Winter. The aim of the book is to help those who struggle during the colder months, to use making, nature walks and simple recipes to help boost their mood. I began to use Instagram as a record of my making and nature finds, about two years ago. 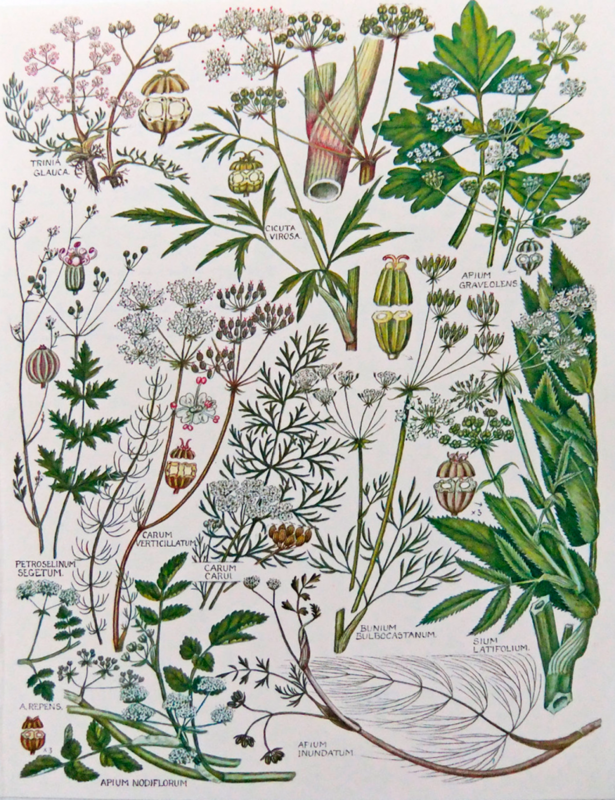 I’ve adored Keble Martin’s botanical watercolours since I was very small. I love making line drawings of nature finds with a fountain pen and could stand in the Sedgwick Museum in Cambridge and lose all track of time by simply looking at the copperplate specimen labels (never mind the fossils themselves). I began to make photographs inspired by these things in May/June 2015 and hoped there might be a small audience for them. Indeed, there is a large audience for them; Emma has an Instagram following of almost 100K, very active readers. How do you go about styling your Instagram posts? That’s a question that isn’t so easy to answer. Once the idea for a photograph arrives in my head I let it brew for a while, like tealeaves in a pot. 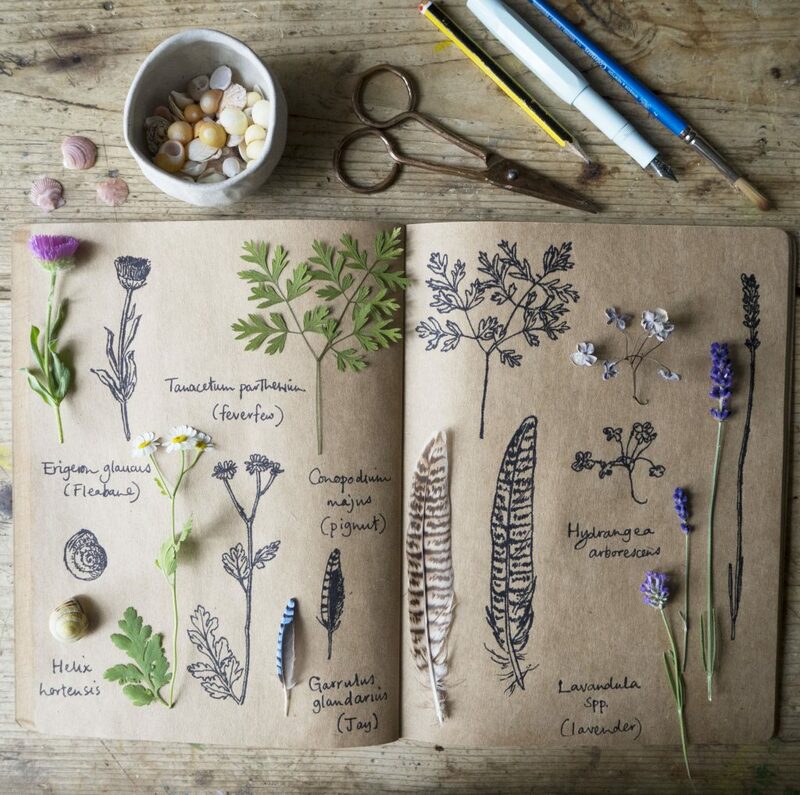 Often the picture will be based around nature finds so I will go and gather leaves, seedheads and sometimes common wildflowers from the wood or waysides. 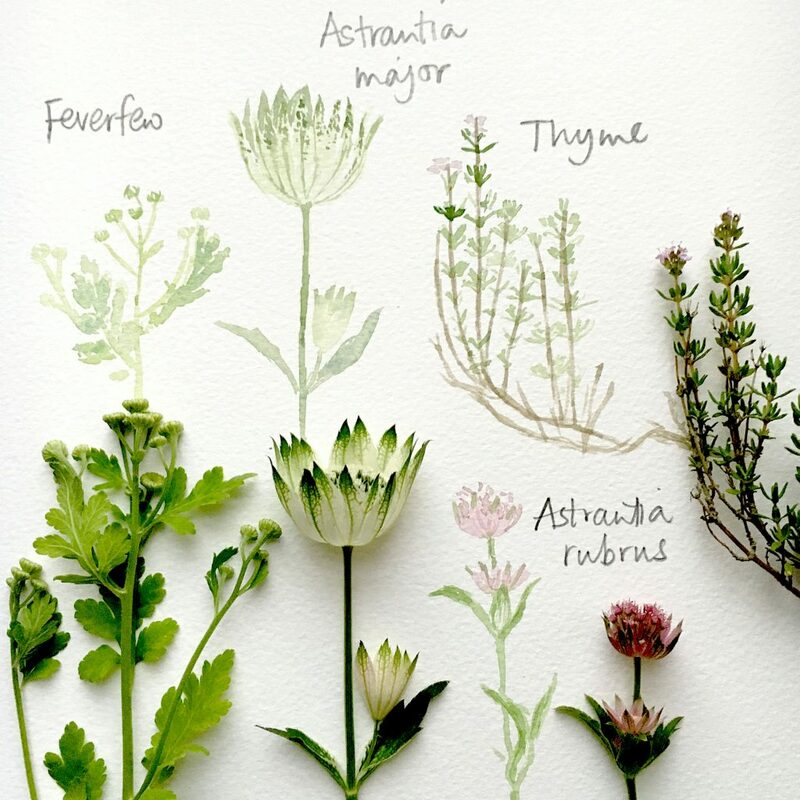 I’ll lay them out and see if there is an ombre element to my finds, then I’ll sit down and begin to draw them or create labels for them like those in a herbarium or museum. Next I find the right spot near a window, so that the light is soft. I may have to shoot it several times to get alignments or the light just right. How many do you post a in week? I try to post on Instagram every other day but my images often take an hour or two (or more) to make so sometimes it’s not possible. The illustrations I make for Instagram relax me enormously – they’re like yoga for the brain. I firmly believe that making and looking at gentle gradations of natural colour triggers a positive response in the brain. My Instagram images may be time consuming but making them is soothing and cheering. To celebrate Emma’s book, she will be taking over the Loop Instagram account next week (September 27th-October 4th)! Making Winter launches on Thursday October 5th. We’re thrilled to announce that we will be having a truly special evening with Emma Mitchell the night before! There will be many lovely things going on in the spirit of Emma and her passion for making, cooking and creating. 15 Camden Passage, Islington, London N1 8EA England. This is a ticketed event, as numbers are limited. Tickets are limited to 30 guests. The price of a ticket is £5 and this is redeemable towards a signed copy of Emma’s book. Please note, we will be closing the shop as normal at 6pm and then re-opening only to those with a ticket (and Emma’s family of course!) at 6:30pm. The shop will be open for those attending in case you are so inspired you would like to get ‘stuck in’ right away! In addition to Emma’s lovely treats (thank you Emma!) we will be providing drinks including Hawthorn Gin. Emma has casks of Hawthorn syrup in the making right now in preparation for the evening! If you are not able to secure a ticket, have no fear – Emma will be signing lots of books for us and we will still have loads of signed copies of Making Winter both in our London and online shop. Preorder if you want a signed copy. If you would like to secure a ticket please follow the link here. Emma will be decorating Loop’s window too, so if you can’t get to the book launch, try and pop by the shop in the days around the launch and afterwards to see how she has worked her magic at the London shop. And one last treat for you! We will be giving away one signed copy of Making Winter to a lucky winner. Please either follow us on Instagram and also post a pic of your own or repost our image on your IG account using the hashtag #MakingWinteratLoop and/or leave a comment below. What a beautiful book. Thank you for this giveaway. I have to confess that winter is my least favourite time of the year. I have always said that perhaps I simply need to hibernate instead of dragging myself through the days, constantly yawning and drinking hot tea in an effort to keep myself awake. Winter cosiness is something that I would love to be able to create. Feeling like in a cosy paradise, having boosted mood and combatting the dreary days – you have me hooked already. If anyone needs this winter survival guide it is meee!!! A beautiful book – so lovely to see such creativity. Very inspiring! What a wonderful giveaway opportunity! Emma is an inspiring maker and I can’t wait to get a copy of her beautiful new book. I love autumn and winter and this post is very inspiring. If only I could visit Loop to meet Emma and all of the staff who send out orders to me at all times of year. Creativity is so closely linked with nature. I love being inspired when I am out and see patterns in nature and the colour palette opening up before my eyes. Wonderful interview and give away. What a unique book to cheer those winter blues! Emma’s work is exquisite, she is very talented indeed. 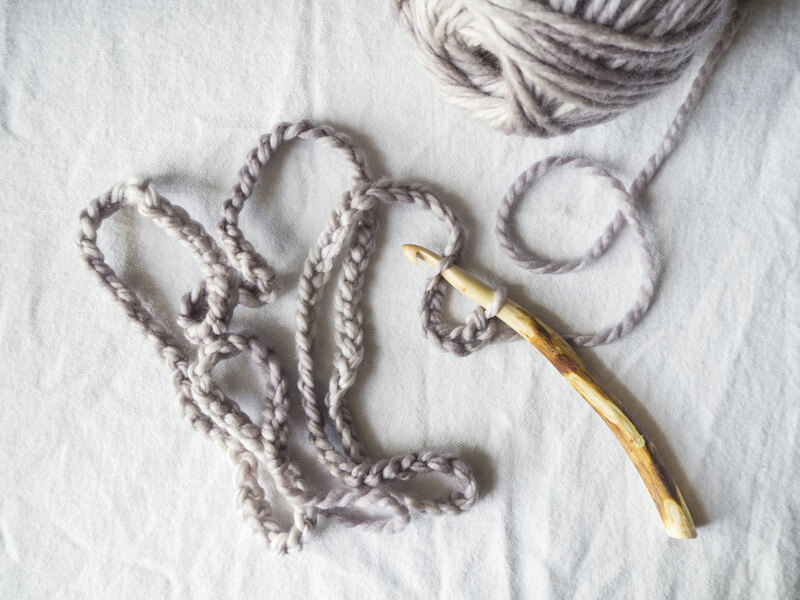 Winter is a wonderful time for creativity and crafting. I am sure the book will be inspirational. Good luck with the launch Emma! Such a lovely book! I wish I could draw like Emma, she is very talented. Thank you for the chance to win the book. What a lovely interview .That is a fabulous looking book , definitely one to dip into every autumn and winter . This book looks lovely and would be nice to dip into over the winter and I will start following Emma in Instagram. This book sounds amazing! 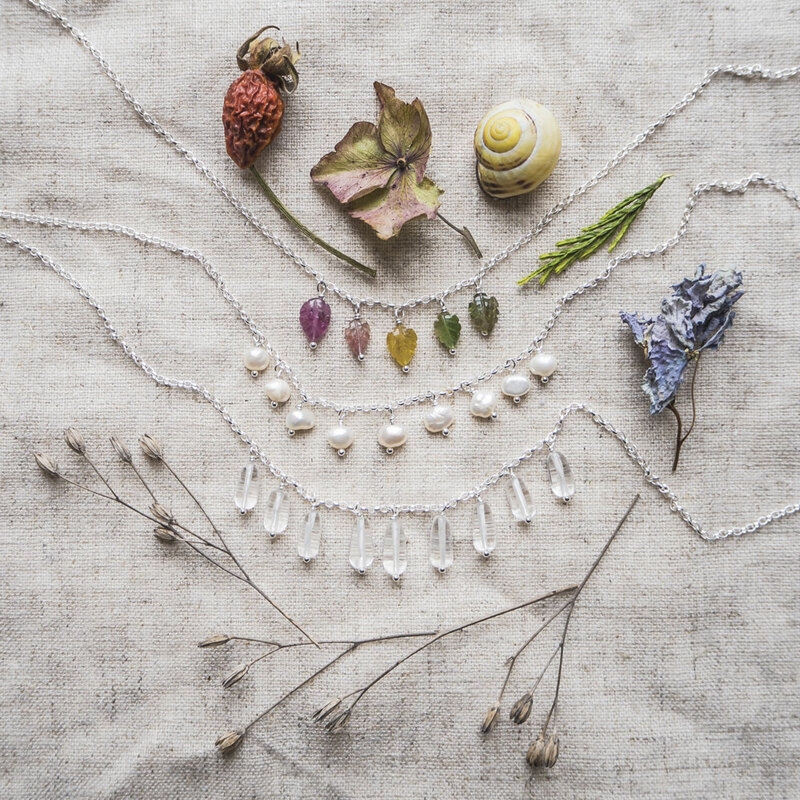 So excited to be introduced to the work of Emma Mitchell…beautiful! Just looking at the photographs posted in today’s blog reduces anxiety and uplifts ones heart! Emma’s book makes my heart sing. I love winter and she brings together so many pieces of the visual, the feelings and the yearning to make in what looks to be a remarkable book-feast! This sounds like a truly beautiful book that will be a joy to read plus inspiring projects to occupy wintry days and evenings. It will certainly be on my booklist. A beautiful book, perfect for crafting while curled up cosily by the fire! Would love to win and it’s definitely on my wishlist. Emma Mitchell is a new discovery for me. Her book looks wonderful. Thank you, Loop London! What a fantastic idea – winter is naturally a time to create. I’d love to see Emma’s projects. That sounds like such a beautiful book. The wintertime is when I often feel the most creative, so I would love to peek into this book and see what tips it has to offer! What a wonderful idea for a book. And what a beautiful, inspiring book for long winter months! If only I could fly over from Australia to attend Emma’s event. I’ll just have to be content with her book, so yes I would love to win a copy of Making Winter despite the fact we are enjoying early Spring … no matter I’m sure her book will be inspiring in any season. having moved down under to Australia I have mourned the loss of my favourite season for such a long time. Snowy days staying indoors, warm, cozy and creating. What a lovely, lovely book. what a wonderful give-away!! thank you, Loop, for endless, generous inspiration and always showcasing such wonderful talent! good luck, everyone! So looking forward to the coziness of winter… this book looks beautiful. Thank you for the giveaway! It is really such a nice book! I’m definitely on need of some inspiration to make winter a bit more bearable! This looks like such a beautiful book to curl up with on a wintry afternoon and get inspired. Winter is coming and it’s nice to think that there are so many projects that ca be done! Thanks for the giveaway and for the beautiful pics on your blog. Thank you for putting together this giveaway and for sharing Emma’s interview! What a great and beautiful book. How wonderful! This would be just the ticket to distract me from the impending end of my maternity leave! Thank you for organizing a giveaway. I am in Southern California. Wish I could visit your shop. Would love to win this book to help me through winter. Who eventually won a copy of this beautiful book?